You know we love dachshunds. You know we’re still stinging over the loss of little Gary. We still think about the little guy, and each time we see a dachshund we can’t help but be happy they exist! The King of the Breeds! The mighty, mighty dachshund! 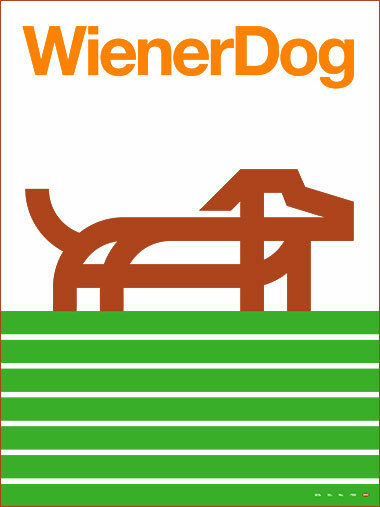 Wiener dog! Long dog. And this poster is for just that. For the long dogs! 02. Three colors! Inspired by memories of Gary on the grass. 04. Proudly printed by our long dog-lovin’ buds at Seizure Palace! 06. Dedicated to all the King of the Breeds: The Mighty Dachshund! Long live the long dogs!